In a survey by KPMG among 330 real estate decision makers in 2017 to understand property management software trends, respondents see technology innovation as an opportunity they could leverage. It shows how the technology has come a long way from Real Estate 1.0, the class of real estate tech characterized by simple data firms and marketplaces. Back in the day, an online real estate software company was looked at by incumbents like real estate brokers and agents as a shift that would make them irrelevant in the real estate space. Jump 20 years ahead to where we are today, and they have enough proof of the impact of technology. 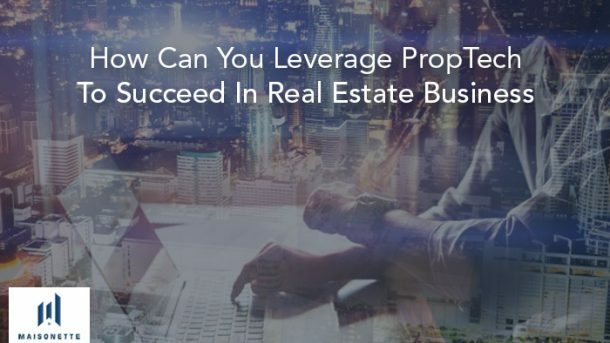 The umbrella suite of technologies that are heralded as the next agents of transformation are universally referred to as PropTech, or property technology typically offered by an online real estate software company. Today, 96% of the same cohort of real estate incumbents, according to the KPMG study feel that digital innovation will impact their business. Today, a swarm of cutting-edge startups are showing how to drive efficiency, and are giving incumbents a run for their money. Let’s break down and understand how your real estate business can start using property management software and realize multi-fold benefits. Competition is at an all-time high today, and the customer is now more powerful than ever, in terms of being informed, as well as choosing from a wide variety of ‘great’ options. To make your brand stand out, one of the most critical tools provided by vendors offering the best accounting software for real estate is the CRM modules. A recent study on how real estate stakeholders can engage with PropTech firms saw 22% of its respondents vote for improved customer engagement as a key business improvement that technological innovation can bring about in the real estate sector. Using an online real estate software company like Maisonette, the customer lifecycle is taken care of, from people management, to lead management and proactive customer support. Increasing customer tastes, a complex selling process, and decreasing loyalty are reasons that are making the selling phase tough in real estate. Previously, businesses looked at technology as a threat rather than an aid. However today, the entry of new online real estate software companies with the development of cutting-edge marketing tools for real estate are compelling the real estate community to inquire into the advantages property management software offers. In fact, our sales funnel solution covers the gamut of sales activities, from securing leads to creating payment plans to monitoring executive performance. An online real estate software company like Maisonette makes the software simple-to-use, allowing cross-functional access and applicability. It helps prevent the loss of leads and makes the selling process efficient. The real estate market is one of the most process-heavy sectors today, yet they have been dabbling in experimenting with a few enterprise planning or project management tools to improve parts of their processes. The stereotyping that a vast and sector catering to basic human needs wouldn’t need a revival are now being rendered irrelevant, as the playing field has become even tougher. With the market now becoming more transparent and borderless, using the best accounting software for real estate has become a non-negotiable, with tested features that can accelerate the closure time taken by certain processes. Maisonette’s Automation module can replace reporting or routine tasks that your sales or accounting executives have to complete, and complete them in a fraction of the time of their counterparts, with the bonus of better quality (lesser errors). Its entire suite of solutions is 95% automated, freeing up bandwidth to help you focus on more complex activities and accelerate your growth. According to a report on the growing influence of PropTech in 2017, the scale of the funding 179 startups in this space have raised since 2013 is a mind-numbing US$4.8 billion, out of the US$7.8 billion that has been the global investment value since 2013.
is now a default feature, but finding the range of capabilities to improve your leasing processes like a lead generation to contract generation and renewal becomes critical to moving the growth needle of your leased or rented properties. Maisonette’s leasing module works well with adequate workflow management tools which usually are offered in the property management portfolio of PropTech. It’s comprehensive capabilities cover the gamut of requirements needed by real estate businesses. A key advantage of an online real estate software company is how data is the fuel that powers this entire machine, offering the ability to be used across functions and verticals of a business. The growth of PropTech is making its mark, as around US$2.6 billion was invested just in 2016, something unprecedented for this sector relatively new to startup and technology disruption. Using the best accounting software for real estate available in the market allows data and signals to be captured through activities conducted across the organization. Capturing data through Maisonette’s Advanced Lead management feature, for example, gives marketers enough information to understand qualified leads, giving the opportunity for specific sales agents to target tough, but high-value leads, while giving the team an understanding of taking steps based on data and not on intuition. While it might feel convenient to be satisfied with your current operating procedures that are bringing in the returns needed to keep the lights on in your business, it is almost certain that the time spent not investing in relevant solutions by an online real estate software company could have negative consequences soon. Businesses are not only realizing cost benefits but are able to see a surge in their growth curve, while driving customer satisfaction by predicting needs and delivering intelligent responses to the latter’s concerns. Moreover, the best accounting software for real estate is dynamic, reliable, comprehensive and secure. Since the value of the global commercial real estate that is investable is expected to touch US$65 trillion by 2030, both the growth of the space and the opportunity it provides for organizations to transform their real estate business with the help of technology.